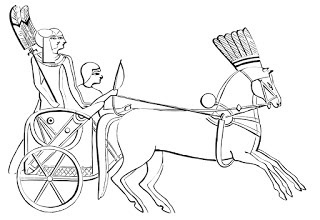 Today we have a great print and color image: an ancient Egyptian Chariot. Whether you're a kid or an adult, grab some colored pencils, crayons, markers, or paint brushes, print this one out, and enjoy some creative time! For more activities and worksheets, visit the Teacher Zone.